B and O play collaboration-hi-fi listening experience. Incredibly durable-805g military certification. Wide-angle front and rear cameras to get the bigger picture. Record smoother, clearer videos even on the move. The lowest price of LG LGH990DS 32GB Titan was obtained on April 23, 2019 9:38 am. 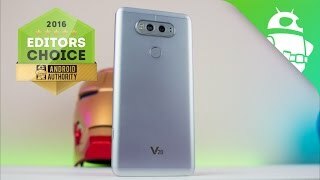 LG V20 Review: The Most Underrated Smartphone of 2016! I had been using the Xperia z2 for sometime now. Its been three years. Still running buttery smooth. 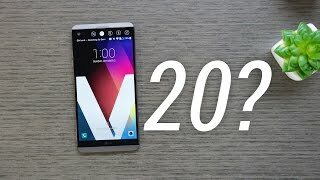 Wanted to upgrade, not because it has been three years, but because I am so interested in listening to hifi audio and that’s why I chose the lgv20.It was a toss out between the lgv20 and the HTC 10 went for the v20 as HTC10 is no longer available and also not at this price point, doesn’t come with on screen navigation buttons as well.Now the moment i saw the box, the excitement began. The box itself was so premium and beautiful. Then opened up to the beautiful beast. It is large, but the bessels at the top and bottom give it a stunning look. It doesn’t look so great on the photos, but in real world, it is very eye catching.I turn it on and wow, what a display. Ofcourse, i have only used Xperia z2 before and iPhone se, so this was like a massive improvement. I am not sure how it would stack up to the likes of amoled panels of samsung, but is definitely a very vibrant and crispy display.Then comes the most interesting thing I wanted to try out. The hi fi audio. Plugged in my scullcandy earphones. The phone recognizes the impedance level of the earphones and drives power of the dac accordingly or something similar, not sure if the specifics. But what i knew and already expected was my skullcandy would not be listed by lgv20 as a high impedance one. You need something like audio technicia mtx 50 to match up to something like that and this one certainly can drive those headsets while the other phones don’t have enough juice. Having said that, such headsets alone cost around that if a budget mobile. But still what I see in some of the blogs is that for normal headphones, the quality difference will not be there at all, comparing to other flagships. Ofcourse, all this is just theory. In the real world, plug in a half decent in ear earphones and turn the hifi dac on and man, there is a huge improvement in sound quality, compared to that of my Xperia. What’s worth mentioning is that I had also bought a lenovo k6 power for my father and the dolby atmos is no slouch. It did thrice as good as my z2 , but this one is different, its pure sound. It takes one step ahead of dolby atmos.Then comes the camera. Heard that auto mode does overexposure and it does. So took my photos in manual mode and the photos are really good. The trick here is that if we never use auto mode and know what must be chosen in the manual mode, you are not going to have any complaints about the camera. The camera hardware is stellar. But we don’t have such raw options with the front camera. It kind of creates that beauty mode effect, which makes the photos so soft. Perhaps a third party application or lg’ s software updates could fix this, but now we are stuck with this beauty mode.Then the large screen. Having been using a 5.2 inch screen before, its refreshing to have this. Its great in playing multimedia. Should be better than the g6 or galaxy s8, because they come in 18:9 aspect ratio, which means some content would cropped down everytime.Call clarity is good. Tried with Airtel 4g.64gb of internal storage. Now the apps can auto update and I don’t have to turn off automatic updates and monitor internal storage alk the time. That really is an absolute relief and you can install multiple games as well.Haven’t testing the gaming, but so far everything has been stupendously fast, without any compromises.The b and o ear phones bundled I haven’t tested much, but it sounded a little inferior to my skullcandy that costs one tenth of the price that they claim for these earbuds. But time will tell if it all worth it. But nevertheless the phone is totally worth all the money.I see people talking about ordinary battery life. I am not going to defend this part. Yes i did face battery issues, but I have found a workaround, atleast for now. I switch off and charge it rather than having it on which takes much more time to charge. Certainly, it must be due to poor optimization of any apps. These are the things that don’t happen in ios. But that’s all you get from ios as well. So, Android update or lg software update will fix this, but until then, I am going to have to use this as a fix. For battery drain, I still haven’t found a workaround, but its not that bad. Lasts till evening with heavy usage. 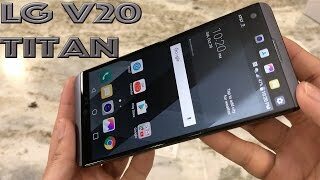 There are always better battery replacement options as well(there is one with 6600mah), as the phone has removable battery.Overall, a must have phone especially at this price point, no other phone can even come close.I just came here for the audio, but pleasantly surprised by everything it had to offer. I am sure battery issues will be fixed soon. This product is an absolute beast. A good phone. Nice handy feature. Android customizations are in just right proportion. Camera is awesome. Battery life could have been better. At par with One Plus 3 and if you are an audiophile it is better than OP3. OP3+Big screen and stunning audio. The camera is excellent. Video and sound recording are very clear. Screen is excellent. Phone charges a but slow, but that is a quirk of Quick Charge 3 technology.The main problem is buggy software implementation. Phone feels very slow sometimes compared to my OnePlus 3T. Very poor job by LG. Need to implement stock ROM for this phone.I am hoping LG won’t abandon this phone, and one day will get a decent software update which this beautiful hardware deserves. Extremely pleased. Great phone at a great price. Just the best bang for the bug. Everything is perfect for the price, a little less on battery when 4G is on. Otherwise standby is awesome.